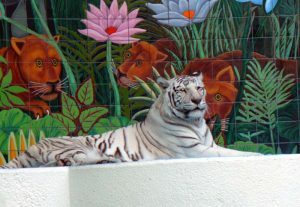 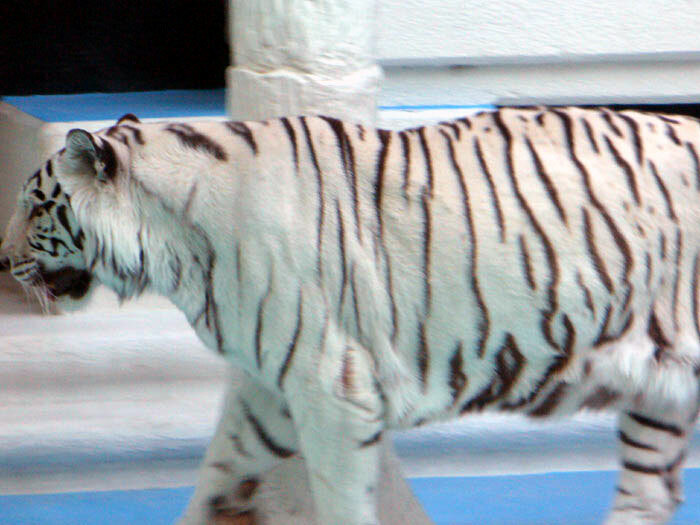 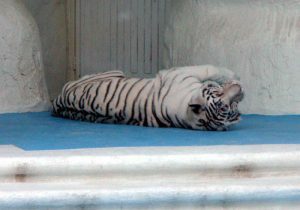 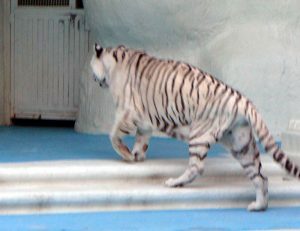 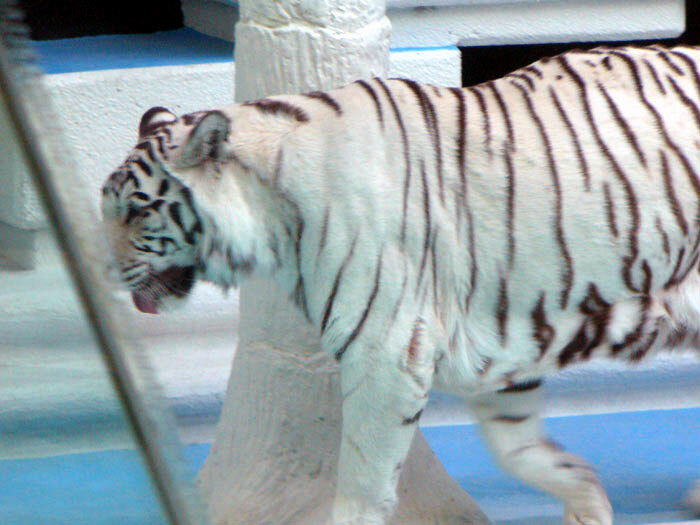 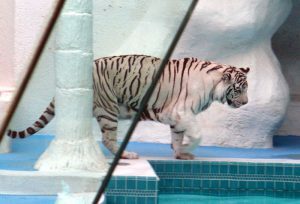 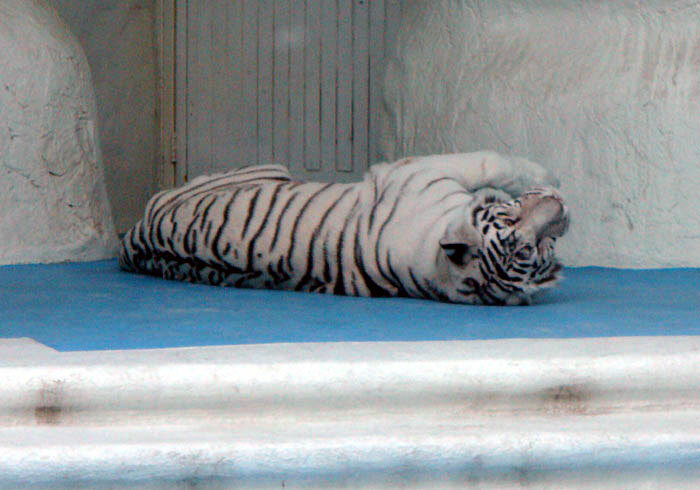 On a recent trip we were given the opportunity to see some of the world's few remaining White Tigers. 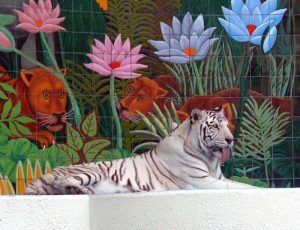 Such beauty and strength! White tigers are tigers with pink noses and white to cream colored fur with black, grey or chocolate-colored stripes; their eyes are usually blue, but may be green or amber. 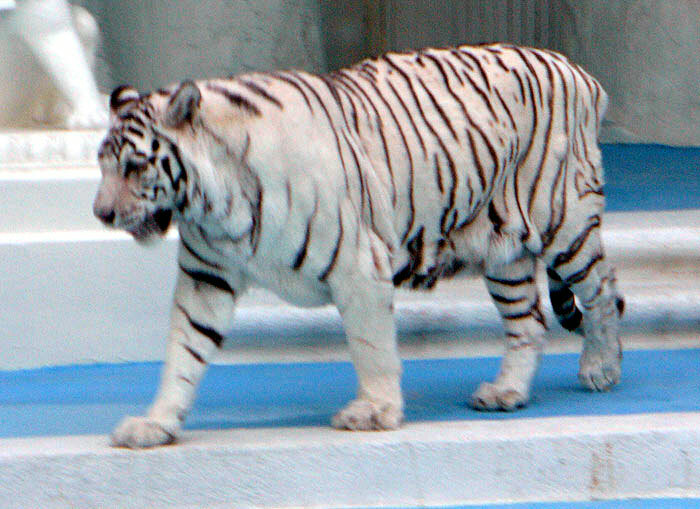 There are around 600 white tigers in the world. 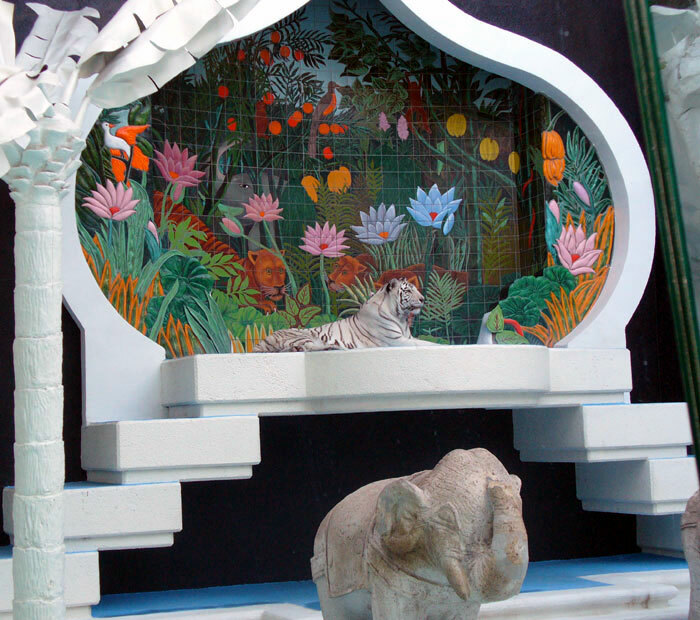 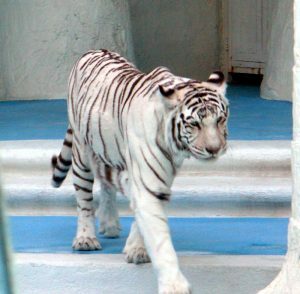 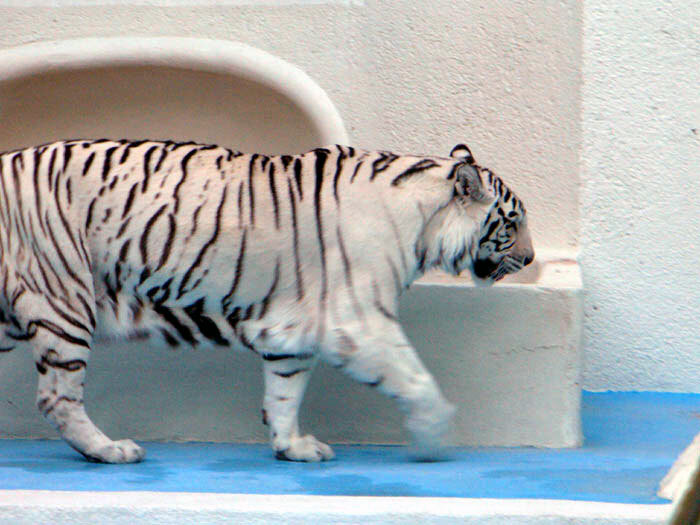 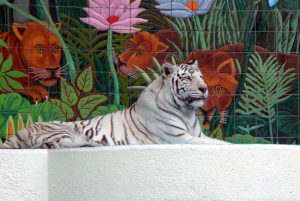 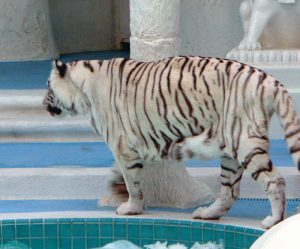 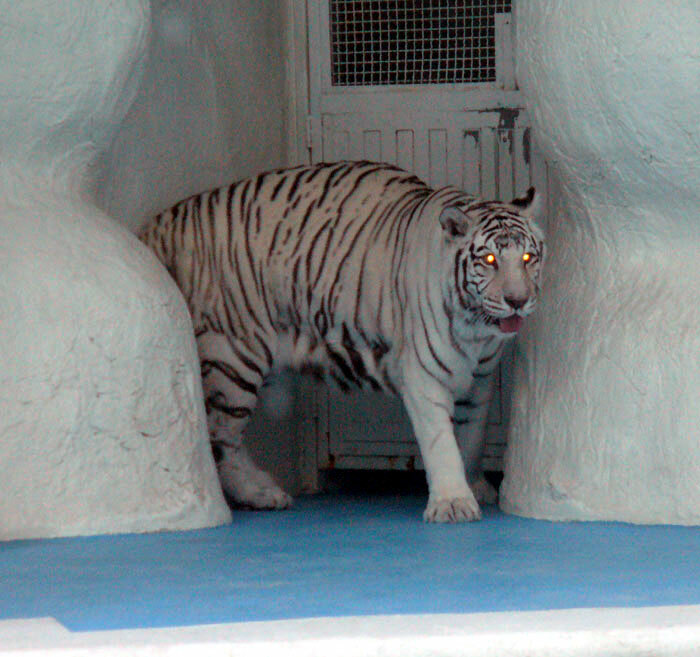 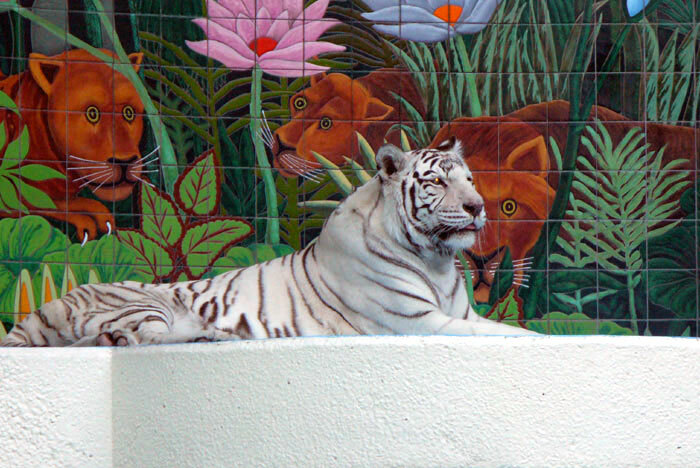 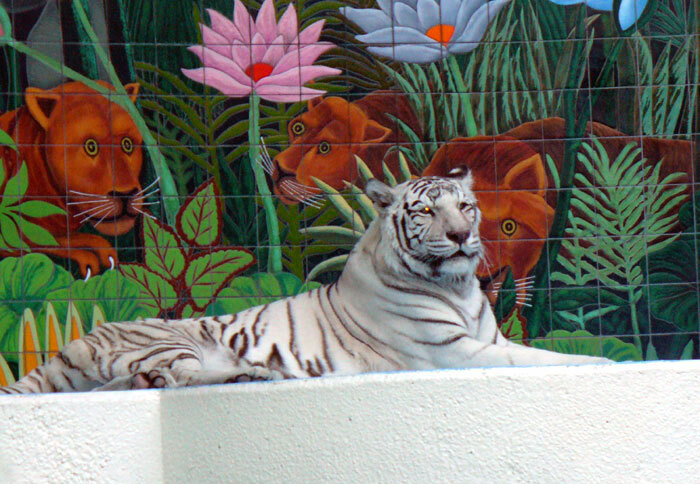 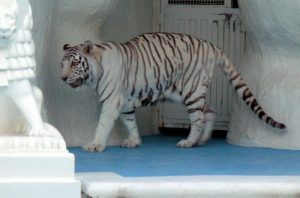 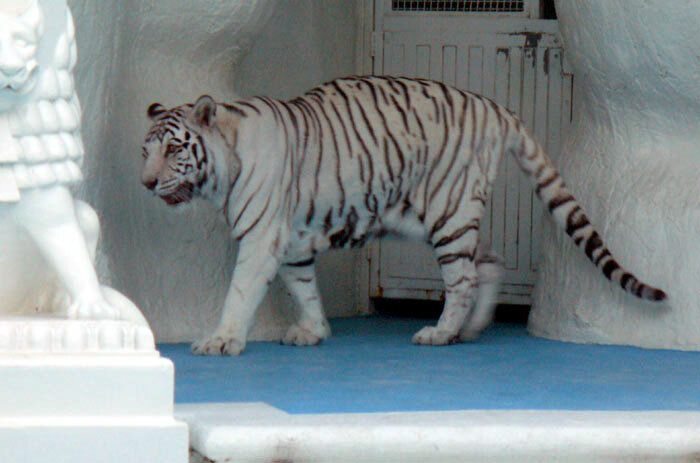 Because this coloration is so striking, white tigers have become popular attractions in zoos and entertainment that showcases exotic animals; the magicians Siegfried and Roy are famous for using several trained white tigers in their shows. 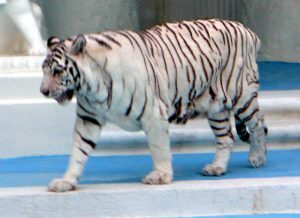 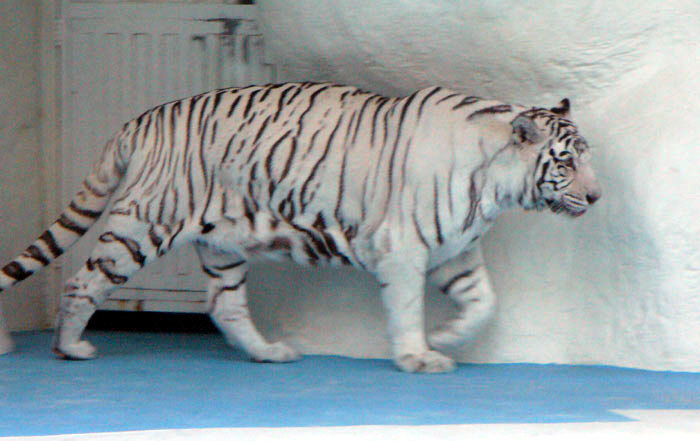 Contrary to popular belief, white tigers are not an endangered species in their own right, but are a selectively bred mutant form of normal orange tigers.